The NCHS Boys’ Soccer Team played in the sectionals on October 16th and 18th. The boys played at home against Independence High School on the 16th and defeated them 2-1 in a hard fought game. The boys also played Herbert Hoover High on the 18th but lost 5-1. The boys finished their seasons with 9 wins, 8 loses, and 2 ties. 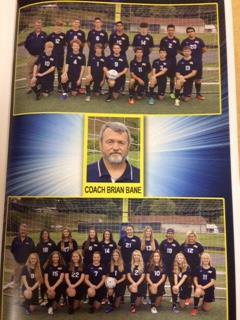 The NCHS Girls’ soccer Team played in their sectionals game away on October 17th against Midland Trail. The girls fell short to Midland Trail in overtime and lost 3-1 on penalty kicks. The girls ended their season with a record of 4 wins, 14 losses, and 1 tie.